Inside the Pump Building portion of the station, there are three United 16X22 pumps putting through about 1.6 million barrels of North Slope crude oil a day. This makes up about 20 per cent of the domestically produced crude oil, or about 10 per cent of the total consumption of the United States. The pumps are driven by Rolls-Royce Avon gas turbines through a reaction turbine coupling. The pumps require 13,500 horsepower each to move the crude oil through at this rate. 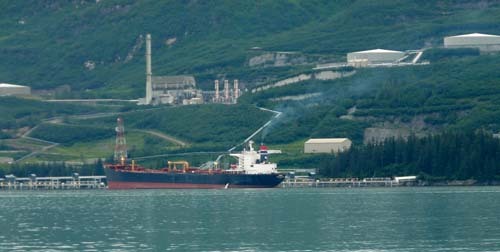 None of the oil transported by the trans Alaska pipeline is exported to foreign countries. Most of the oil ends up at East or Gulf Coast refineries. Twenty-two Alyeska technicians and supervisors, local residents, work here – 7 days on and 7 days off, 12 hours a day. Also at Pump Station 9 is a Civil Maintenance Contractor crew, totaling 10 people, assigned to oil spill initial response and line maintenance. A few facts about the three pipelines that have come through Delta in the past. Only one is operating today (Alaska Pipeline). 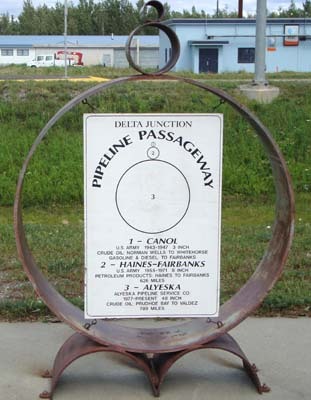 Three major pipelines have been built through the Delta area – and a pipe section’ display will be found in front of the Visitors Information Center. 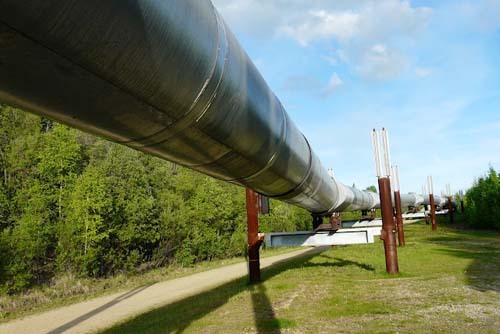 The pipeline begins in Prudhoe Bay and ends in Valdez. 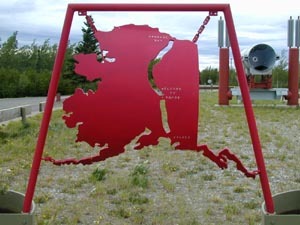 The second line is the eight-inch Haines pipeline, which was built in 1954 to transport petroleum products from the port of Haines to military installations in Interior Alaska. 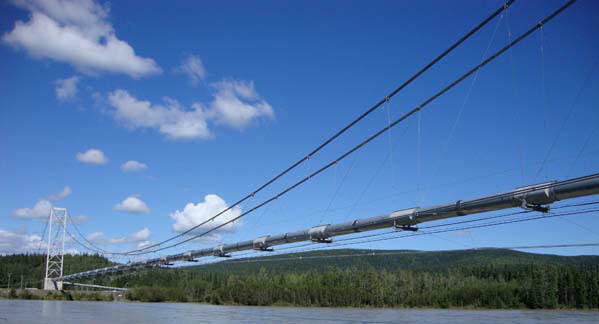 Parts of this line are still in place and, though the line and its pumping stations [one of which is located about 12 miles north of Delta on the Richardson Highway have been inactivated, the line was used as recently as 1980 when some surplus military fuel was moved out of the Tok area.